Auction houses are well known for selling art and antique furniture, but they are also sell property to investors, buy-to-let landlords and even homeowners. Traditionally the main route to buying or selling a property has been to go through an estate agent, or nowadays search online using portals such as Zoopla or Rightmove and then use an agent. Yet if you are willing to learn the ropes, keep your wits about you and stick within your means, it is also worth looking further at an auction to secure your dream home or invest to build your buy-to-let portfolio. It can also be beneficial for sellers as fees tend to be cheaper than estate agents and you may get a bigger offer if there are lots of bids. What type of properties are for sale? Many associate auction properties with derelict abandoned buildings that no-one wants. However, properties are often put up for auction for a number of reasons, such as wanting to avoid estate agent fees, or trying to get a better price under the hammer. There are also, of course, people and organisations who just want a quick sale. These can be long-term investors, institutional investors and public sector bodies, such as councils and police authorities. Auctioneer fees tend to be no more than 2 per cent plus VAT and can be lower. Once the hammer falls you get a guaranteed sale. Because of competitive bidding, your property could achieve a higher price than if you listed with an agent. Sellers agree a reserve price with your auctioneer, which protects them from selling it too cheaply. Property auctions are a good place for buy-to-let landlords to pick up a decent deal and build their portfolio. They have long been popular with professional investors and small developers looking for value. They can also be used by first-time buyers as another route to finding a home, or those hoping to move up the ladder. The problem is though that once the hammer falls on your winning bid, you have committed to buy, often within a tight timescale. If you haven’t found a buyer for your existing home, or don’t have the finance lined up, then you will have problems. Potential bidders have the option to view properties ahead of the auction at organised open days to assess whether they would like to proceed. This ensures everybody has an opportunity to see what they are buying before putting in a bid. 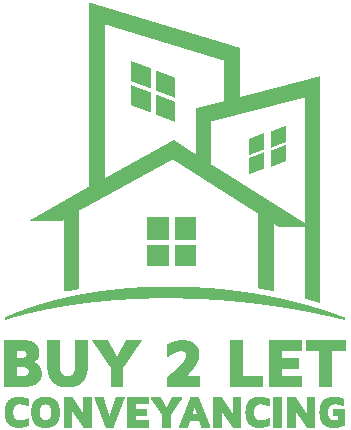 Anybody looking to buy property also benefits from a faster process as there is no waiting for negotiations on offers, you just make your bid and hope to win. This also means there is no chance of gazumping, where someone comes in with a higher offer, or gazundering, where a buyer lowers their offer at the last minute. Once the hammer falls, the deal is done. How can people bid for a property? There are four ways of bidding at an auction. People can either attend an auction in person and place bids, by proxy and authorise the auctioneer to act on your behalf, by liaising on the phone with the auctioneer as the bidding takes place and through internet bidding. Being in the room can be more beneficial as you can assess the mood and judge a competitor’s body language better. The auctioneer will start the bidding with a minimum price agreed by the seller and then look around the room for people to start their bids. Depending on competition, the price will start rising by the thousands to eliminate the less serious buyers and once it gets really competitive and there are only a few left the price may rise by even £100 or less. Once a final bid is made and no counter off comes in, the hammer will come down and the sale and purchase is complete. Once the hammer falls, the winning bidder must pay a deposit to confirm the purchase. How does the bid winner finance the purchase? Bidders can either pay by cash or access finance from a mortgage lender, or bridging lender. Although most lenders will provide mortgages on homes bought at auction, the process can be slightly complicated as the final paid price is not set until later. It is worth consulting a mortgage broker to find out the best way to apply for a mortgage. Bridging finance provides quick access to a loan but is expensive and if you can’t pay it back, or get a standard mortgage to clear it, then you can end up with problems. With such a short window of time, it is wise to have a loan or mortgage agreed in advance of the auction and an application in process, or there is a high risk of losing the deposit if you are rejected. Contact the relevant auction house and request their catalogue. Most auction houses hold regular auction sales with a catalogue printed some weeks in advance. You can also subscribe to catalogue mailing lists. Do arrange a viewing of the lot – viewing arrangements will be listed in the catalogue. Check the description of the lot in the catalogue is accurate. Carry out the usual property/land searches. Carefully read the conditions printed in the catalogue. Always get legal or professional advice from a solicitor and, in appropriate cases, a chartered surveyor. You will also need to make your financial arrangements prior to auction. You must have a 10 per cent deposit with you on auction day, and you must come up with the remaining 90 per cent within 28 days (or 20 working days). If you need a mortgage, it is prudent to have discussed all of the financial implications with a bank or building society, and have arranged a mortgage in principle. Plan ahead if you need mortgage assistance. It’s wise to arrange a mortgage in principal with a bank or building society before buying at auction. You could lose your 10% deposit if you fail to complete within the time given (normally within 20 working days). But please note, some auction houses have different rules regarding when completion has to occur by. Be aware that buying at auction is a binding commitment and carries the same legal implications as a signed contract by private treaty. In most cases, auction offices have copies of legal documentation provided by the seller’s solicitors, which can be sent to you. 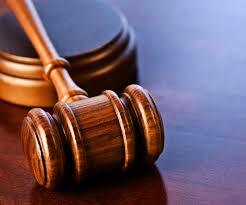 The main advantage of property auctions is that they usually ensure a quick and efficient sale. Completion is normally within 28 days (or 20 working days). Usually a property will have a reserve and if you meet it the vendor is legally bound to sell to you. You have won if your bid is the highest and the reserve has been met. The next step is to fill in a purchase slip requiring some personal details and the details of your solicitor. After this you will be asked to sign the memorandum of sale, which you will exchange for the vendor’s part as soon as it’s ready. This is your contract and should be sent straight to your solicitor. You will also be asked for proof of ID and your 10% deposit. Once the gavel comes down the property becomes your responsibility and at this point you must insure the property. The auction house or your solicitor should be able to advise you. The Catalogue – Details of the property and land to be sold are set out in this catalogue. All lots are sold subject to Special Conditions of Sale. It is important that prospective purchasers satisfy themselves of to the location, boundaries, condition and state of the lots before the auction. Plans, Maps and Photographs – The plans, maps, and photographs published in the catalogue are to aid identification of the property only. The plans are not to scale. Energy Performance Certificates (EPC’s) – Where required EPC ratings are on the lot page. Guide Prices – Guide prices quoted in the catalogue ore provided as indication only and may change at any time prior to the auction. The sale price will be dependent on bidding in the auction room and on the Vendors’ instructions. Reserve Price – Each property will be offered subject to a reserve Price. This is a confidential figure set between the Vendor and the Auctioneer. It is a figure below which the Auctioneer cannot sell the Property. The Legal Aspect – Buying at auction is a contractual commitment. Before making an offer prior to auction or bidding at the auction it is advisable to consult a solicitor regarding the General and Special Conditions of Sale, the local authority search and other legal documentation. Pre Auction Sales – Offers made on property included in this catalogue may be accepted by the Vendor prior to the auction. If you ore intending to bid at the auction for o specific lot we recommend that you keep in contact with the Auctioneer’s office. The Auctioneers or Vendors cannot be held responsible for costs incurred in respect of any lot, which are withdrawn or sold prior to the auction. Attending the Auction – It is always wise to allow sufficient time to get to the auction. Legal packs for most of the properties will be available for inspection. It is important you read these and the final addendum/alteration list, which will also be available as any purchase will be subject to these. Bidding – Each property will be offered individually by the Auctioneer. Ensure that your bids are clear and noticed by the Auctioneer. If you are successful in bidding for the property you will be approached by a member of the Auction House staff who will request your personal information and identification. You will then be guided to the cashier’s desk for payment of the deposit. Bidding by Proxy or Telephone – If you ore unable to attend the auction you are invited to contact us to discuss special arrangements for bidding by proxy or telephone. A pre auction bidding form and conditions appear towards the end of this catalogue. Proof of Identification – In order to abide by the money laundering regulations we ask that all prospective purchasers provide proof of identity. Please bring your passport or photographic UK driving licence and a current utility bill, bank statement or council tax bill to the auction. If purchasing on behalf of a company you will also need to present proof of your position within the company and company letterhead. Solicitors Details – The name, address and telephone number of the solicitor who will be acting for you in any purchase will be required before you leave the auction room. Deposit – When you buy a property you will be approached by a member of Auction House staff and asked to go to the cashier’s desk to sign the Memorandum of Sale. You will be asked to pay a deposit of l0% of the purchase price subject to a minimum deposit of £3,000. Payments can be made by cheque or card. Cash is not accepted. Payment by debit card is free of charge, and credit card payments carry a 2.5% transaction fee. Please note, should the cheque have to be represented, a processing charge of £50.00 + VAT will be charged by deduction from the deposit. 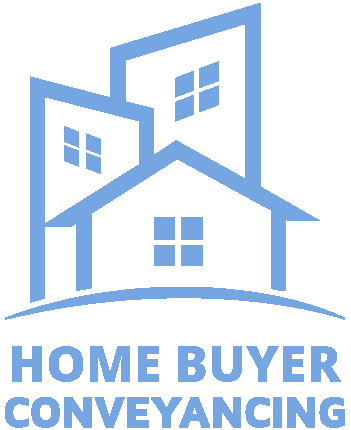 The Contract – Title Memorandum of Sale will be signed in duplicate. One copy will be given to you, which you must give to your solicitor. The second copy will be returned by the Vendors’ solicitor. Completion usually takes place after 28 days but this date can vary. The legal pack of each property will state the completion date due. The date may also be announced immediately prior to the commencement of bidding of each lot. Administration Charge – Purchasers will be required to pay by cheque, an administration charge of 5% + VAT of the purchase price subject to a minimum of £500 + VAT (£600) in addition to the deposit. A VAT receipt will be issued after the auction. Some lots may carry additional charges, please check the catalogue description and legal pack. Insurance – Unless indicated to the contrary, the seller will continue to be responsible for insuring the property until completion. Post Auction Sales – If a property you ore interested in is not sold at the auction please speak to the Auctioneer and make an offer. Your offer will be put forward to the Vendor and if accepted, you will be able to proceed with your purchase under auction rules. Viewing – Due to the nature and condition of auction properties we highlight the potential risk that viewing such properties carries and advise all to proceed with caution and take necessary precautions to ensure their own safety whilst viewing any lot in this catalogue. Viewings are conducted entirely at your own risk, these properties are rot owned or controlled by Auction House and we cannot be held liable for loss or injury caused while viewing or accessing any Lot. Due to the nature of some auction properties, electricity may not be turned on therefore viewing times are restricted. Viewers will also have to bring their own lighting/ladders if wanting to inspect cupboards, cellars and roof spaces.